Businesses are increasingly being driven by data and technology. 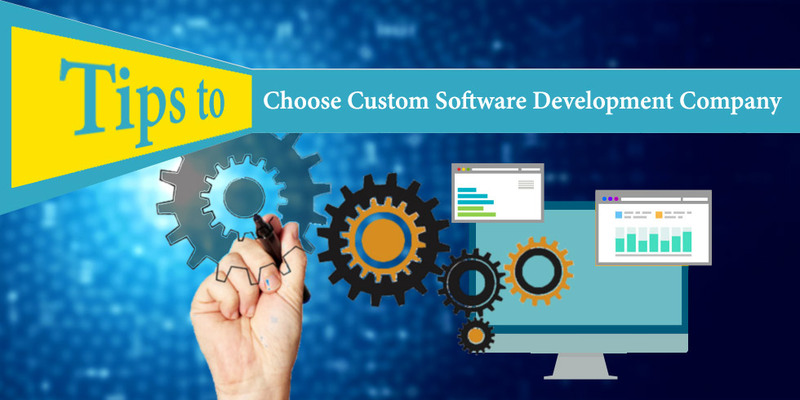 While there are a number of free and paid tools and technologies available, there are times when you need custom software to cater to the niche needs of your business. In such circumstances, it is crucial for the business to hire the right software development company. But, how do you go about choosing such a company? Here, we shall look at some of the things you must consider to help realize your vision. You must start by verifying the credentials of the company. How many years has the company been operational for? What kind of experience do the developers possess? How other clients have rated them? You can easily verify such information as it is easily available on the internet. Ask for references for custom software development company from your business partners and clients, as they can offer you some professional companies they have worked with previously. One of the first things that you need to take note of is their domain expertise. There are a number of tools and technologies used in the development of software and applications such as ASP.NET, PHP, ZEND to name only a few. Does the company you are looking at have the domain expertise you need? Do they have cloud computing and big data expertise? It is important to know what technologies they deal with, and how crucial it is for your software development needs. Your needs would evolve constantly and hence you would need software that evolves with the changes in your business. Hence the company must develop software and applications that are customizable and scalable to ensure they can be applied in the changing market scenario. Check if the company you are hiring is able to develop customized apps that can be scaled to your needs. Many businesses often ignore this clause of the contract with a software development firm. As a business you must have complete ownership of the codes and make sure the company you are working with agrees to this term in the contract. Thus you would be able to take this software to a different firm for upgrades and customization in case the company developing it doesn’t live up to your expectations. Last but not the least the company you hire should offer you comprehensive support and maintenance services. Software can develop bugs or may suffer from other problems and in all such circumstances support services become crucial to your business operations. Also the company should offer you periodic maintenance services that will help you and the company gauge the need for upgrading the software to meet the changes in your operations. If you are looking for a company that has expertise in custom software development solution in India, Semaphore Software would help you realize your dreams. We have been in this business for long to identify the changing trends in the industry and implement these in our projects. We have worked with large businesses, SMEs and start-ups from around the world and have helped them in their projects. For any information and queries get in touch with our team at info@semaphore-software.com.